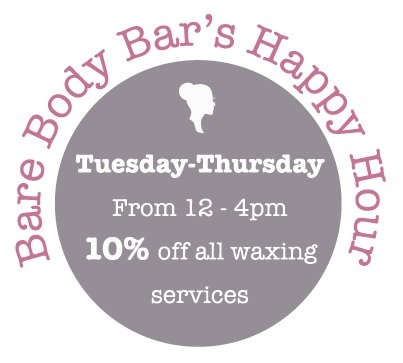 At Bare body Bar, we want our clients to know we are professionals in our work, clean in our space but also see us as a confidant and approachable. Some people have questions they do not know who to ask and we answer them to the best of our abilities. Some people have insecurities about their bodies; we are not here to judge. We are here to bring out your inner beauty, enhance what has been hiding and make you shine. Whether it is with a facial, a wax or simple manicure, we want you to feel amazing. Signup to learn more about future promotions and events.